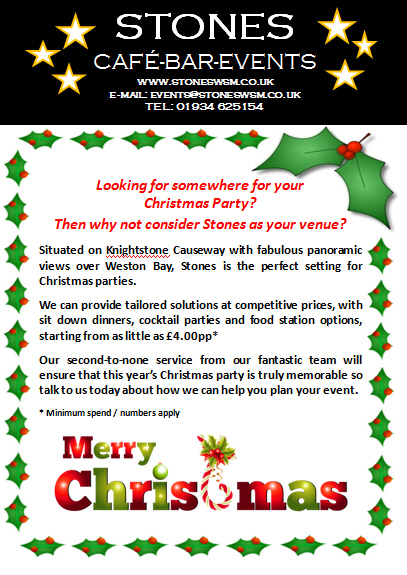 Looking for a great Christmas Party Venue in Weston-super-Mare? 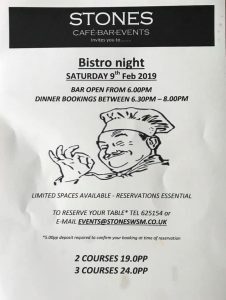 Stones Events provides the perfect mix of great location, perfect food and friendly staff. Christmas Parties deserve to be memorable for all the right reasons. Contact our Events organiser today. We advise everyone to BOOK EARLY as we are usually booked weeks in advance.